You know when you have a certain opinion of something, that it's been around for ages and you don't really fully appreciate it's greatness? 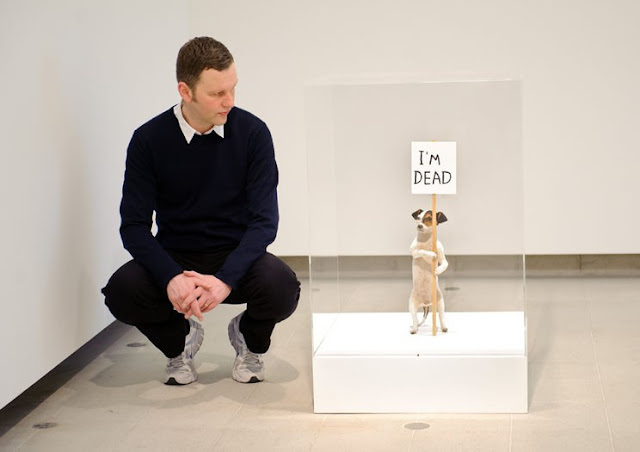 I think I sort of felt like that toward David Shrigley. However, since we ran what I think is a brilliant feature on Phaidon.com to find out what he actually does all day (yoga, listening to Woman's Hour, the football and then starts work around 4 in the afternoon), I've started to pay attention a bit more. And also because he's got a show on at the Hayward gallery at the moment and I'm looking for reasons to stroll down the South Bank from my flat on beautiful days like today. This is not the first chance I have been given to 'get into' Shrigley's work, a friend's band Munch Munch (check an interview I did with them about their album artwork) worked on a track for Shrigley's album Worried Noodles in which bands such as Hot Chip, YACHT and Liars created music to the illustrations and/or writings by Shrigley. Munch Munch were given an illustration titled 'Squirrel' which illustrated, well a squirrel. Listen to it here. Buy the album here and I've also seen it at the Design Museum. 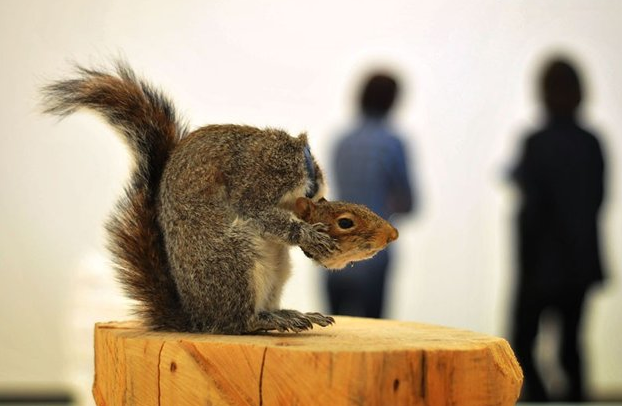 Naturally there's also a lot of press around the show at the Hayward, Brain Activity and I just can't wait to get down there. It features his comical illustrations (of course), paintings and sculptures which are pretty much3D versions of his drawings. Check out the video below by the Southbank Centre and the Guardian which visits David Shrigley in his Glasgow Studio and sees him showing the curator of the show Dr Cliff Lauson (who seems like a fun guy) some chains which are swiftly renamed "Curatorial Bling". Brilliant. 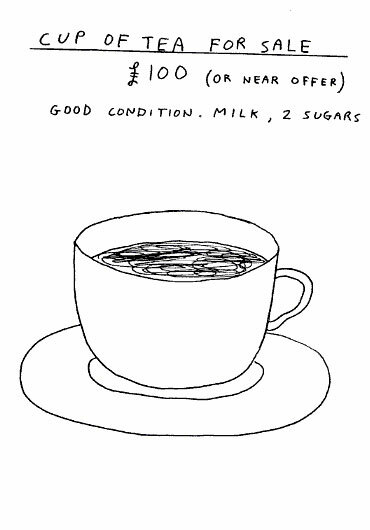 David Shrigley: Brain Activity runs until May 13 at the Southbank Centre Hayward Gallery. Book tickets.